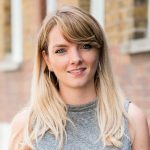 Stand Agency has been hired by the heart muscle charity, Cardiomyopathy UK, to work on a series of campaigns during 2019 as the organisation celebrates its 30th year. Stand Agency will be working with the charity to drive awareness and correct perceptions of the serious but little-known heart condition, cardiomyopathy, and to increase support for the charity’s vital work to support those living with the condition. We are looking for a talented Account Executive to work across our corporate, consumer and charity clients. The role will involve working across issues-based campaigns – from social care funding to the challenges faced by the energy sector. Everyone loves a good news story and last month we got a great one when best-selling author Jojo Moyes rescued The Reading Agency’s adult literacy scheme from collapse after it lost funding. When we first heard the news, we knew it would be a brilliant opportunity to get some first-class coverage about the wonderful work that The Reading Agency does and, more importantly, to raise awareness about the fundraising struggles that charities face. After the success of World Book Night 2017, it was no small feat to pull off an even bigger and better campaign in 2018. Fortunately, Stand were up to the challenge and delivered another smashing campaign that resulted in 199 pieces of coverage and delivered an important objective – to open up the conversation on the ‘right’ way to read. Before the imminent influx of Christmas adverts take over, there have been a couple of brilliant campaigns shared across our news feeds that have got us talking the past couple of weeks. So while we remember the days before tinsel and talking polar bears, here’s a snapshot of our recent favourites. The end of October saw the release of ‘The heist no one is talking about’, a harrowing and hard hitting short film from Oxfam that calls on companies to stop tax dodging. The film reimagines the effects that tax avoiders have on poor countries’ vital services with a heist of nightmares in a modern hospital. Ah Autumn. The time for snuggling up indoors with some good telly and a cuppa. Right? Nope, not for Team Stand. We’ll be welcoming the start of Autumn with nothing less than a 25km trek in the Peak District as part of The Duke of Edinburgh’s Award Adventure challenge. Stand Agency, award winners! We are very excited to have won Best Use of Media Relations at last night’s CIPR Excellence Awards for our work on Anchor’s Standing up 4 Sitting Down campaign! Standing Up 4 Sitting Down is an important campaign that aims to increase awareness of a little-understood issue facing older people in the UK – the lack of seating on the high street which is deterring older people from getting out, increasing loneliness and isolation, and seeing the economy lose out on £3.8 billion each year. Like Christmas, Valentine’s Day, Easter, and Father’s Day, International Women’s Day has become an annual calendar event that brands love to get behind. Is this ok? It’s debatable. But there’s no denying it’s the world – and industry – we live in. It’s to be accepted as long as, sitting alongside each company’s pretty Instagram post and PR stunt, are meaningful measures to facilitate gender equality. 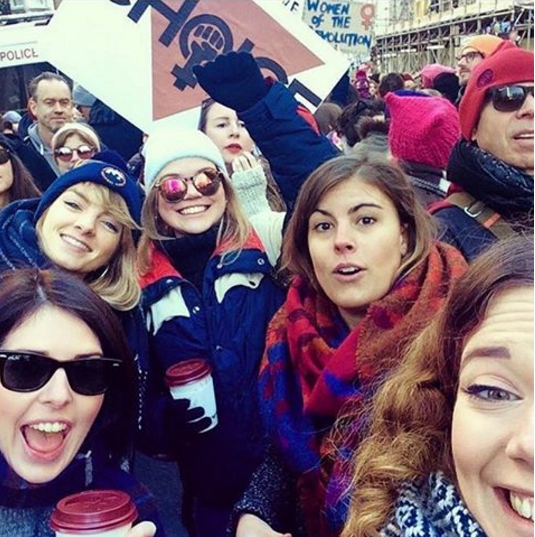 This weekend, Team Stand was proud to have been part of global history as we joined London’s Women’s March and stood up for solidarity and against inequality. We sang, chanted, celeb spotted, made new friends and even spoke to people on the tube. Knowing we were marching alongside 2.6 million people worldwide – all peacefully and energetically protesting against hate and oppression – was incredible. While we’d rather the world’s most powerful person hadn’t made the misogynistic or racist comments he has – oh boy did signage show just how much people across the world are prepared to speak out in defiance against hate. Here at Stand we’ll always stick up for what we believe in and recently we’ve been standing up for the rights of older people with two separate campaigns. With our clients Anchor and Solicitors for the Elderly, we’ve successfully got the public talking about issues affecting older people and, most importantly, we’ve got people pledging to take positive action.